Roger Varian is hoping that conditions don’t dry up too much at Doncaster in the lead-up to the Ladbrokes St Leger on Saturday, as he is hoping to unleash Kingston Hill in the final Classic of the season and the Investec Derby runner-up is the current favourite for the 1m 6f 132y showpiece at the South Yorkshire track. Varian has been reluctant to run his stable star on fast ground all season and with a band of warm weather set to continue over the coming days then he will no doubt have an urge to scratch his star three-year-old again, but if Kingston Hill does take his chance in the staying highlight then he will be the one a field of 14 runners will have to beat. His second to Australia in the aforementioned Derby at Epsom was a superb performance and he followed that up with a creditable fourth-place in the Coral-Eclipse at Sandown Park on good to firm ground, but now returning to take on his own age again the former Racing Post Trophy winner is a deserved market leader and is a best-priced 11/4 shot with bet365 in the betting. Sir Michael Stoute won this race in 2008 with Conduit and the Freemason Lodge master will saddle a dual-pronged attack with Snow Sky and Kings Fete (14/1) seemingly both in with chances of landing a significant blow and it’s the former that is second in the betting and having landed the Gordon Stakes with aplomb could be a major player and is an 11/2 shot with Sky Bet. Fending off a late surge from the Richard Hannon-trained Windshear in that Glorious Goodwood Group 3, Snow Sky will be hoping to frank the form with that raider again, who is available at 8/1 with BetVictor, but Hannon’s challenger was staying on eye-catchingly in that duel on the Sussex Downs and he could well improve again and reverse the form in a mouth-watering clash. A trio of wins since the turn of the Millennium have seen John Gosden come to the fore in this race and Romsdal will spearhead a triumvirate of challengers from his yard and his fine third in the Derby behind Kingston Hill is top-notch form, but he failed to land a blow in the King George, and will hope that a step up in trip can ignite a return to form. Forever Now (16/1) and Marzocco (33/1) complete the Gosden trio and the former fought out a gutsy battle with the Mark Johnston-trained Alex My Boy in a Listed race that also saw Kings Fete finish third, and Johnston, who will also saddle Hartnell (14/1) will fancy that Alex My Boy can turn the tables on Gosden’s raider and there shouldn’t be much between them again. 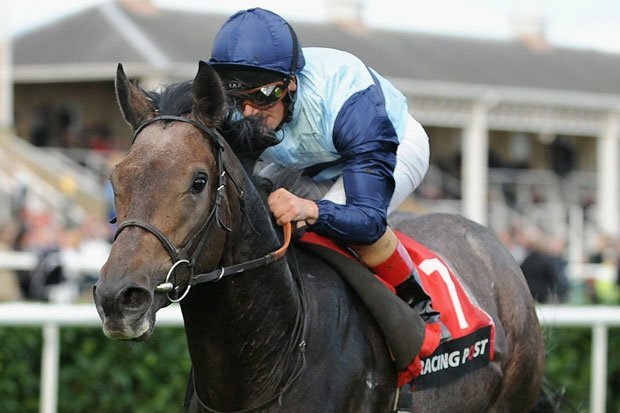 Aidan O’Brien’s Leading Light stormed to victory last year and the Ballydoyle team will hope that Granddukeoftuscany can build on a fifth place finish in the aforementioned Gordon Stakes, but at 25/1 looks to face a stiff test, in what is a race that certainly doesn’t ooze that star performer and should be a real punting head-scratcher.